Bacon is almost an integral part of our hurried breakfast. I hate making the breakfast and we almost ended on eating bacon sandwiches either prepared by our house-help (or Mehebub whenever the house-help is on leave) every alternate day. This is something I taught both of them so that I can enjoy an extra hour of sleep in the morning 😉 . They use bacon one way or other to set the breakfast. My role is just to store the Bacon and yes, at times making the Bacon Jam which is a family favorite. 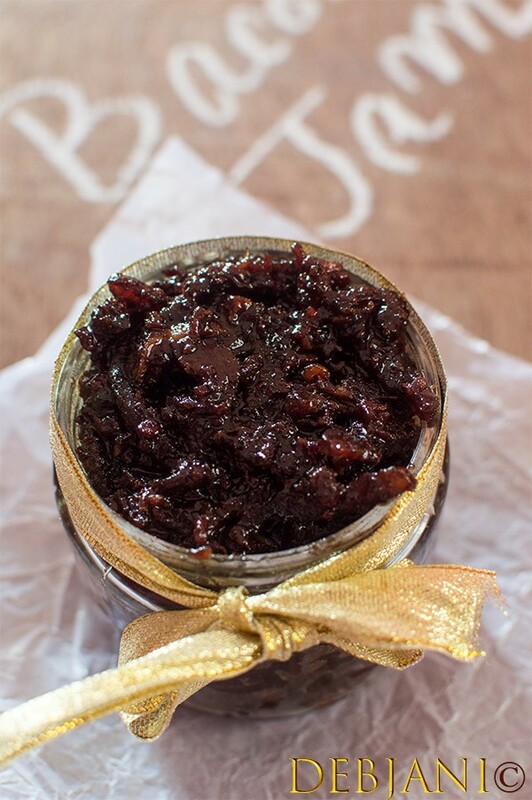 Bacon Jam over the Toast or with the scrambled Egg or even with the Burger or just as a side; the choices are varied and the level of comfort is as comforting as the Bacon Jam is. Needless to say, this post is about Bacon Jam, a favorite spread of mine. In fact, I make it in small batches as Pasta at times takes her toast with the Jam, however, I try to limit the consumption given I use freshly brewed coffee to make it! It is different fact, that I, myself cannot resist much whenever I am available with the Bacon Jam. The recipe of Bacon Jams varies person to person. 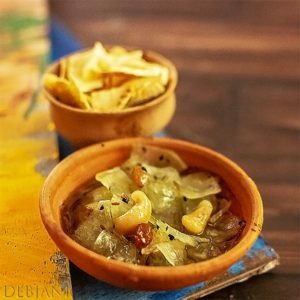 Some people prefer to add spices such as thyme while some add Liquor ( such as Bourbon) while few prefer to add freshly brewed Coffee while making Bacon Jam. I prefer mine with freshly brewed Coffee, that gives an amazing flavor to the Bacon Jam and also add Ginger strips for added flavor. I don’t use Bourbon or any other form of alcohol while making the jam. 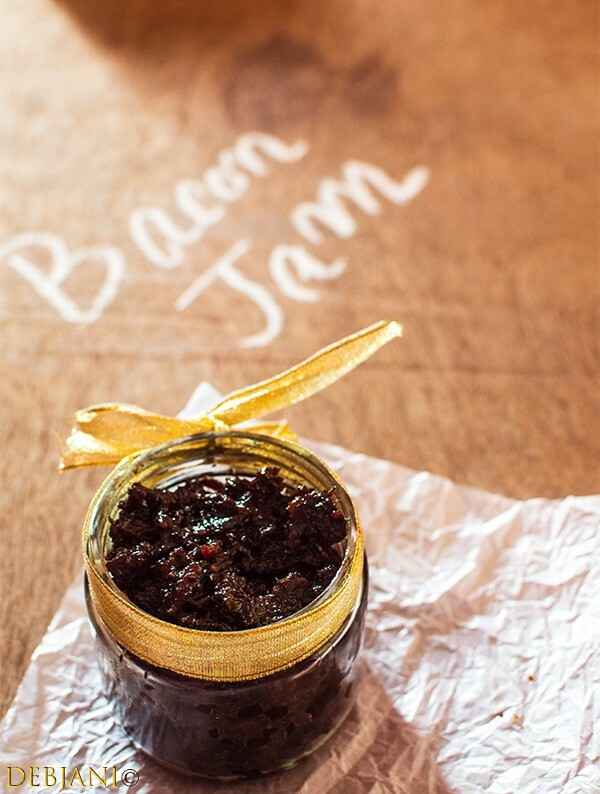 An Easy-peasy recipe of Bacon Jam with no added alcohol. Black Pepper Powder: 1 Tsp. Chop Onion and garlic roughly cut julienne strips of Ginger. Heat an iron wok and start cooking the bacon preferably in 2-3 batches. The Bacon will be cooked in own oil. Once crisp, strain the bacon from the Pan and place over tissue paper to soak the fat. 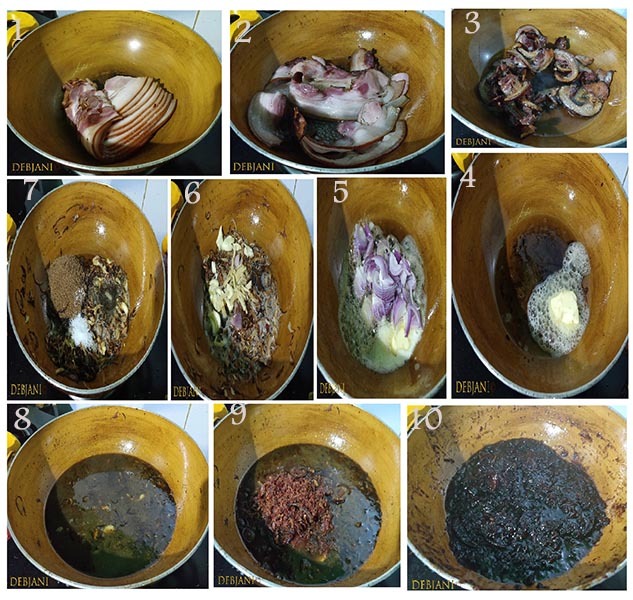 Discard the fat from the Pan after keeping 2 Tbsp. of melted fat in reserve. Heat the remaining fat along with butter and start frying the onion on medium flame. Once caramelized, add chopped garlic and chopped Ginger and cook for one more minute. Now add Maple Syrup, Brown Sugar, Black Pepper Powder, Salt and freshly brewed Coffee. In between roughly chop the fried bacon and add. Start cooking in slow flame upon covering the pan with a lid till the liquid absorbed completely. It took me around 20 minutes to reach the perfect consistency of the Bacon Jam. The end result will be thick and rich, blackish red Bacon Jam. Use an airtight jar to store the Bacon Jam. It can be stored in the refrigerator for around 3-4 weeks. If Maple syrup is not available, replace it with 2 Tbsp. Brown Sugar. 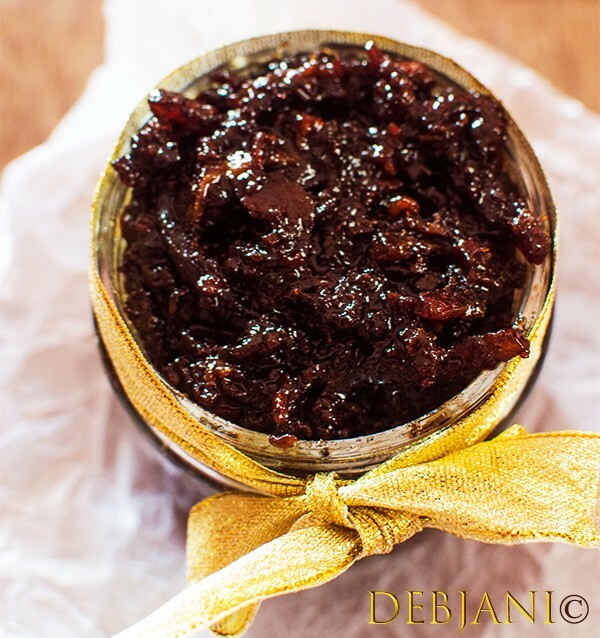 Have you tried the Bacon Jam Recipe from Debjanir Rannaghar! « Tel Koi | What is the story of Tel in Tel Koi!